Furthermore Marketing are a company I’ve worked with for some time now on various marketing projects relating to companies whose work ranges from Kitchens and interiors design and installation, to Offshore specialists and IT providers amongst others. 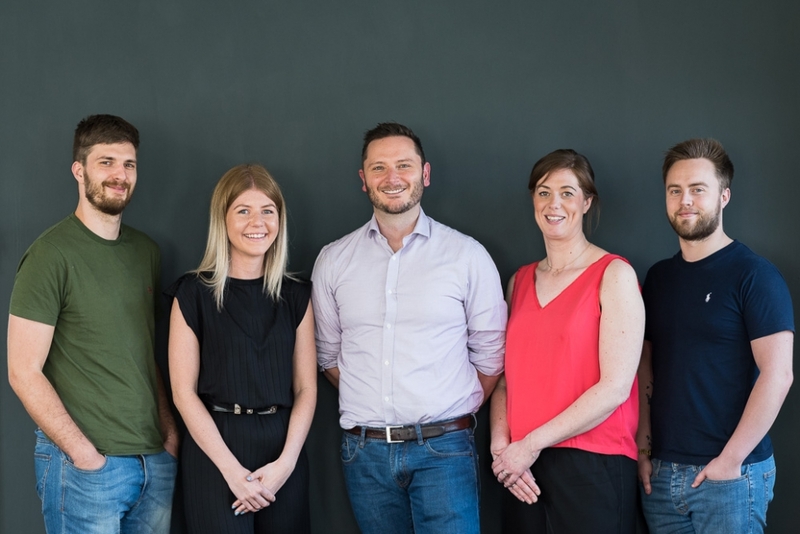 I enjoy working with this team, they’re great fun, professional and approachable and produce great websites, superb marketing materials whilst providing marketing advice, campaigns and strategies. When I was asked to provide them with some business portraits I jumped at the chance, and headed out to their HQ at Scottow in Norfolk to produce some images for them. The images produced would be utilised on website, social media for client communication and in publications both here and in Europe. 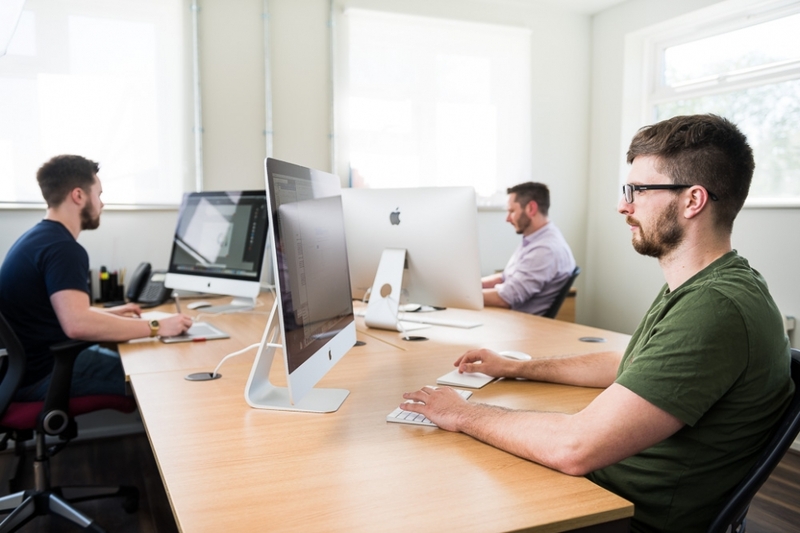 Producing photographs of any client based company, where interactions between your team and client’s are key, should always seek to produce images of approachable and friendly staff members. In this case we opted for wide headshots where the person isn’t framed too tightly but is photographed against a background with enough space around them to accommodate different crops of the image, environmental shots of staff members in their work place, and some team shots. Wide headshots are vital when different crops need to be used on websites. A three quarter length image is perfect as this allows an image to be cropped into a number of framings for website use. 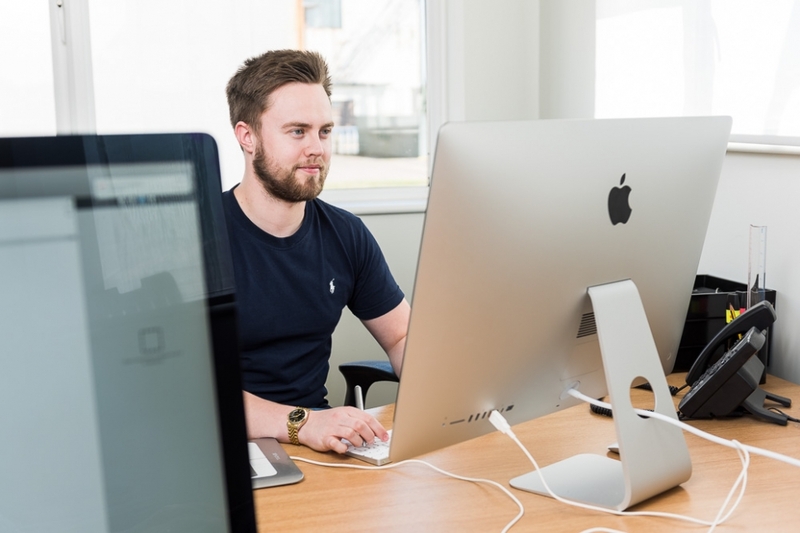 A three quarter length image is popular at the moment with web designers hoping to give a more personal introduction to staff members with whom a client will interact. Environmental shots are always a bonus, they can be used as incidental images on websites, fill social media posts showing your working environment or simply provide an often relaxed image of a staff member at a work station or at work. Team shots last of all are a great record of a working team, and again create a good masthead background for “about” pages and other introductions to your staff members in addition to being great for press releases. There’s a small selection of the images produced for the company below, if you would like some images produced for your company please get in touch.